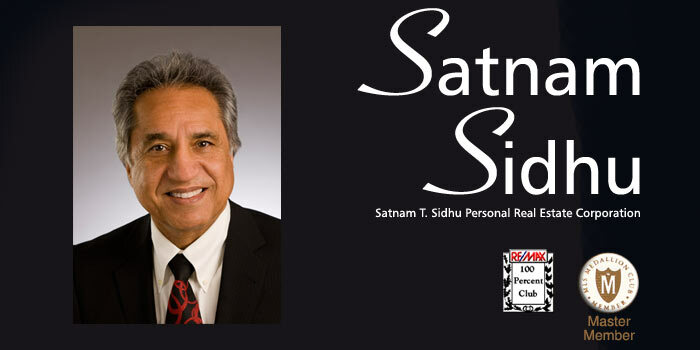 Satnam Sidhu, a Vancouver real estate specialist since 1979, welcomes you to his real estate web site. A Past President of the Canadian Real Estate Association and the Real Estate Board of Greater Vancouver, few of his peers can offer you the experience Satnam brings to a real estate transaction. Today on www.satnamsidhu.com you can view Satnam's featured MLS® listings, search the listings of the Real Estate Board of Greater Vancouver, or explore community, government, real estate and school links. Be sure to bookmark this site as the data is updated daily.